Beating the best and fastest machines at the Leadfoot Festival, Scottish rally star Alister McRae clocked the quickest time of 49.15secs in the Top Ten Shootout to defend his winner’s title today. Piloting the Vantage Subaru up Rod Millen’s 1.6km driveway in Hahei, the Coromandel Peninsula, McRae ran last but made it count. He bettered his 2017 time of 49.43secs and despite oil on the track and having to bed in some new slicks late today, McRae’s ultimate talent prevailed. The Vantage Subaru did it again. It’s on auto-pilot I don’t do anything,” he jokes. McRae had a heart-in-mouth moment up the top of the 1.6km hill climb when he was hurtling through the forest and went for fourth gear only to have it jump back out. “I wasn’t the most gentle, I just smashed it back in,” he says. 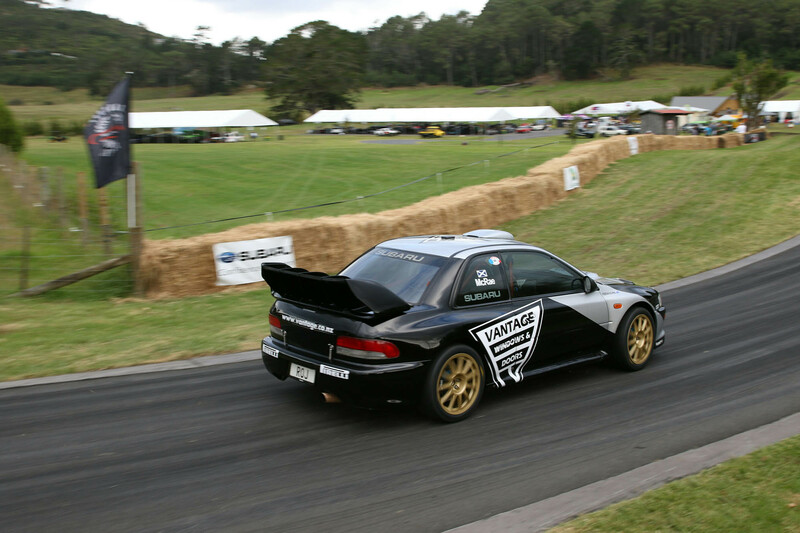 Rotorua rally driver Sloan Cox had to settle for second again in his 2004 Mitsubishi Evo Hill Climb Special Evo 8, clocking 50.71secs. “We did everything we could to beat Alister. We gave it our best shot and it was again another awesome drive from him but we don’t want to give up yet. We want that top spot and we are coming back and we are going to beat him. Rod and Shelly, I’d like to say thanks for another awesome event, I love coming here,” Cox says. Dean McCarroll says it was a case of history repeating itself as he podiumed again but this time in 51.10secs in an updated 2013 Juno CN race car, to the one he was third in last year. Thousands of spectators enjoyed the spectacular and diverse range of cars, motorbikes, drift cars, ATVs, off-road trucks and beautiful historic racers. Event founder Rod Millen was “absolutely thrilled” with how the 2018 Leadfoot Festival went, despite missing out on the podium in the Top-Ten Shootout, driving his ferociously-fast Toyota Celica. “The quality of guests that showed up to watch was just fantastic and everybody embraced all the cool old classic cars and the drivers. I’ve still got the track record [a low 48secs]. I was happy in the RX3 [where he won the Pre-1975 category]. I made a mistake in the Celica at the start line but that’s just part of it,” he says, with a smile. IndyCar superstar Scott Dixon was relishing the chance to return to his native New Zealand and enjoyed seeing how much the Leadfoot Festival had grown since he attended two years ago, driving an historic 1906 Durracq. “It’s really cool to see this event expand and get bigger and see the following it has,” Dixon says. 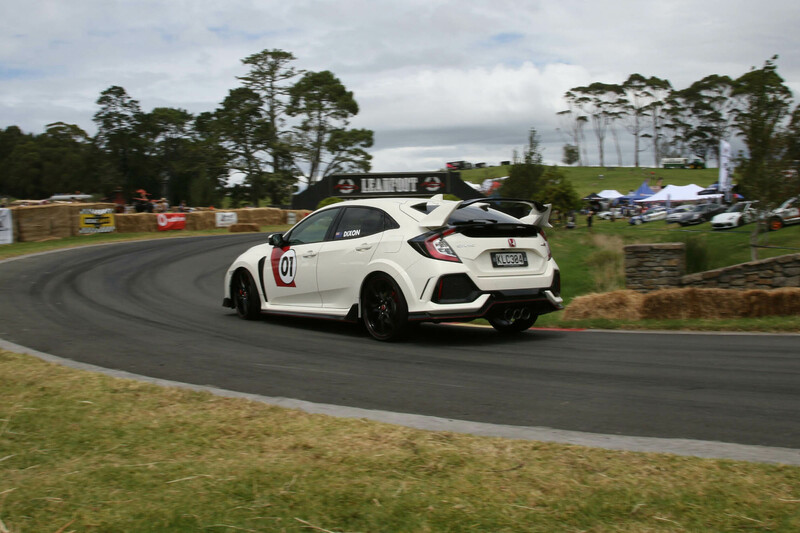 He was brought over from his United States base by Honda New Zealand and drove the brand’s multiple award-winning Civic Type R up the hill climb. “The tie-in with Honda made it definitely an easy fit as it helps both myself and the team and Honda NZ,” Dixon, whose IndyCar team uses Honda engines, adds. 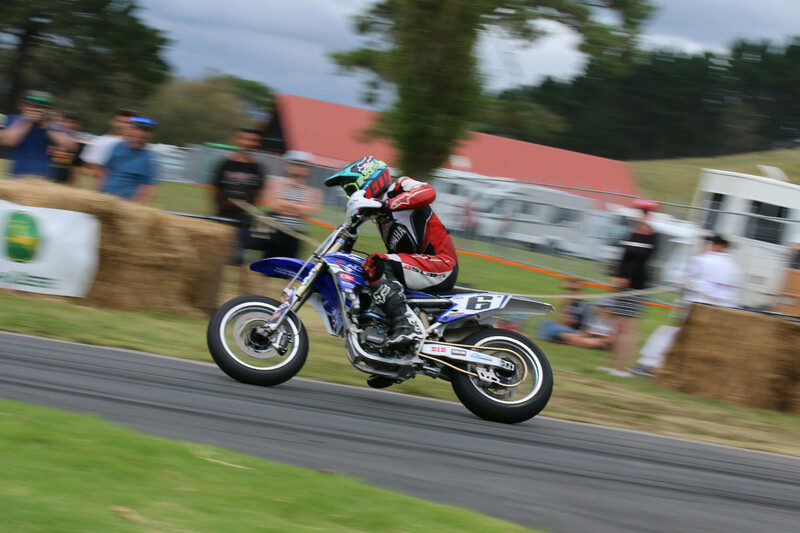 World motocross GP legend Josh Coppins made the Best in Show – after impressing the crowd with his skills on two wheels at his debut at the Leadfoot Festival. The undulations on the immaculately-prepared driveway were “a lot more vicious” than he anticipated and he loved the challenge of powering his state-of-the-art 2018 Yamaha YZ450 up it at maximum pace right from the start line. “Leadfoot is definitely out of my comfort zone. It’s hard to stop wheelieing on a motocross bike that’s been converted to a motard,” he says. 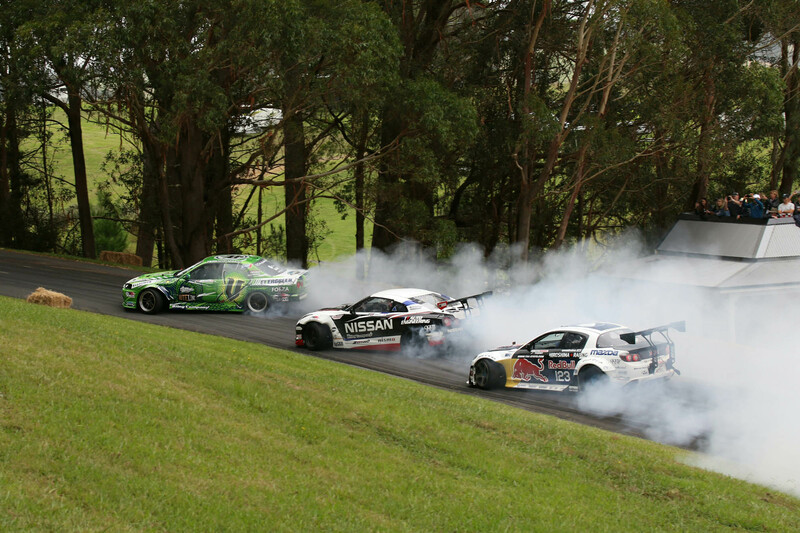 As always, the drift cars were absolute crowd pleasers and had the thousands of spectators on their feet, wildly cheering every tyre-smoking run they did. United State’s-based World Champion Drifter Vaughn Gittin Junior was among the drift crew, lighting up the wheels of his stunning 2017 Ford Mustang RTR Spec 5-D. 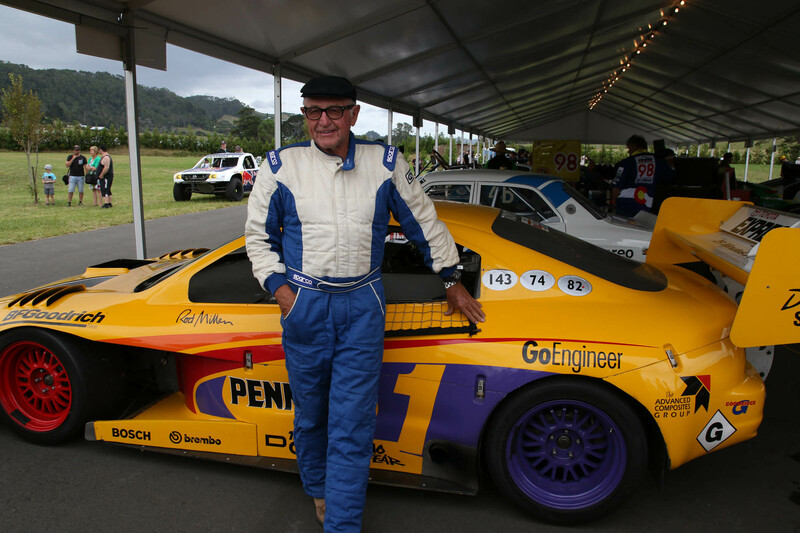 It was his first time in New Zealand and he was living up to his title of Professional Fun Haver – relishing everything the Leadfoot Festival has to offer and making the Best in Show run, as the icing on the cake. “I love the vibe of a group of people who are together, with a love for same thing. Everyone is smiling, everyone is excited. I’m honoured and proud to be a part of it,” Gittin says. Like Coppins, he was making his debut on the intricate series of corners and cambres that constitute Millen’s tricky driveway. “Rod’s built a challenging and scary track. It’s an accomplishment being in one piece at the top,” Gittin laughs. There were a few tears in eyes as 88-year-old Allan Woolf retired at the end of the Leadfoot Festival, wrapping up his career in his 1965 Triumph Vitesse that he has spent the past two years doing up. 2nd Sloan Cox – 2004 Mitsubishi Evo Hill Climb Special Evo 8 – 50.71 seconds. Josh Coppins races his Yamaha YZ450 up the Leadfoot Festival hill climb. Leadfoot Festival founder Rod Millen stands with his 1994 Pikes Peak World Record Celica. 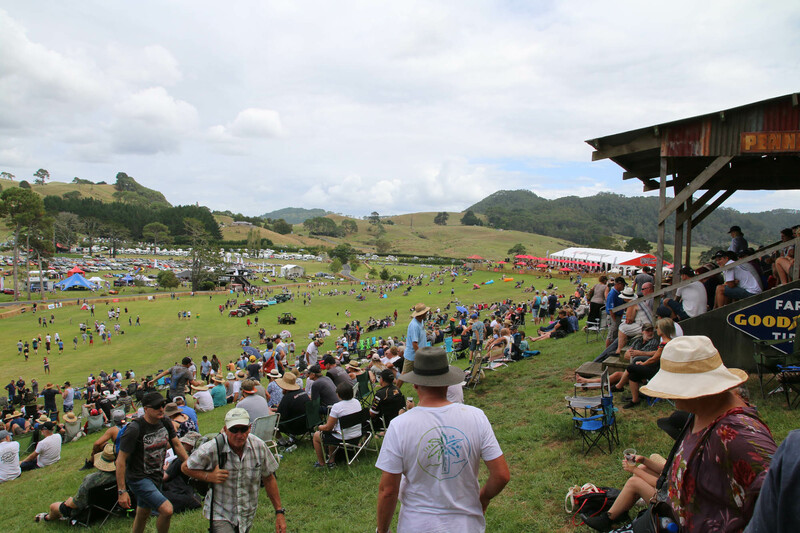 The crowd at the Leadfoot Festival, in Hahei, Coromandel Peninsula, was up by 30 per cent this year, predominantly courtesy of word of mouth. IndyCar race driver Scott Dixon enjoyed driving the Honda Civic Type R.
The drift crew were once again a hit with spectators at the Leadfoot Festival. Scottish rally star Alister McRae won the Leadfoot Festival in his Vantage Subaru WRX.